The Feast at Lele is an incredible luau event and a perfect way to rekindle the romance in a spectacular setting where every table is intimate and offers a panoramic view of West Maui sunsets. Lele is the ancient name for Lahaina, and this is the beach where the royal family of Maui would feast and entertain. Fresh Flower Lei & Mai Tai greeting. Open bar included throughout the evening. A sit-down, five-course dinner, featuring cuisine of Hawaii, Aotearoa – New Zealand, Tahiti, Samoa, and Dessert. Menu created by Executive Chef James McDonald from Pacific’O Restaurant, and I’O Restaurant. 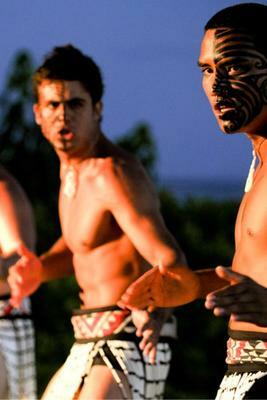 Each course is accompanied by dramatic Polynesian entertainment from each island. 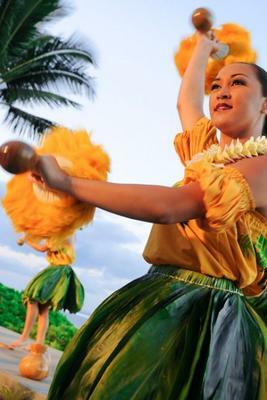 Example, the Hawaiian course is accompanied by Hawaiian dances; New Zealand course is accompanied by New Zealand dances, etc… Show created by Old Lahaina Luau. Banana & Sweet Potato Chips served w/a Tropical Ginger & Ogo Seaweed Salsa. Imu Roasted Kalua Pua’a – Pork w/Hawaiian Salt, cooked in an underground oven, shredded & served on Steamed Cabbage. Seared I’a – Fresh Fish w/Mango Sauce & Fruit Salsa. Pohole Ferns Shoots & Heart of Palm Salad tossed in a light Vinaigrette Dressing. Poi. Miti Hangi – Hangi cooked Steak in Kiwi Fruit, Soy & Ginger. Harore Kumara – Roasted Mushrooms, Sweet Potato & Onion, sautéed in Soy & Garlic. Rakiraki Salad – Duck Tenderloin, Kula Greens, Bean Sprouts & Carrot w/Poha Berry Vinaigrette. Moa Fafa – Chicken wrapped in Taro Leaf, steamed in Coconut Milk, Lemongrass & Ginger. Baked Scallops – Scallops w/Sweet Potato & Spinach in Lobster Cream topped w/Bread Crumbs. E-iaota (Poisson Cru) – Raw Fish marinated in Lime Juice & Coconut Milk w/Tomatoes, Carrots, Onions, Cucumber & Cilantro. Grilled Gúfe’e – Squid w/Island Herb Sauce Palusami – Breadfruit & Squash cooked in Young Taro Leaf & Coconut Cream. Shrimp, Avocado & Fresh Fruit – tossed in a Lilikoi Dressing. Carmel Mac Nut Tart topped w/Haupia (Coconut Pudding). Hawaiian Chocolate Truffles. Fresh Exotic Tropical Fruits. The Feast at Lele is more than just a dinner. It’s a journey through the history, customs, and traditions of Polynesia (the region compromising the island nations of Aotearoa, Tahiti, Samoa, and Hawaii). With the help of traditional songs, dance, and—of course—a five-course culinary feast, you’ll be transported on a royal tour of each island. 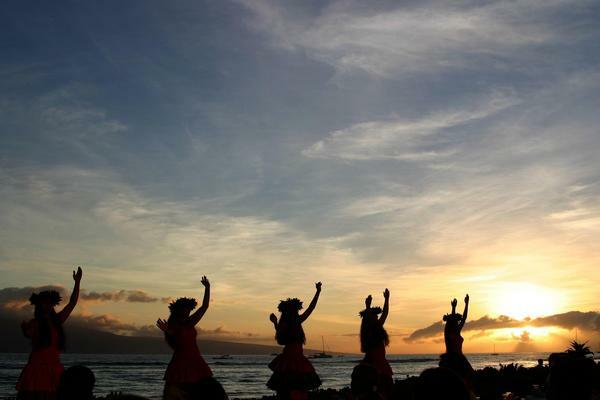 What is the best luau on Maui? 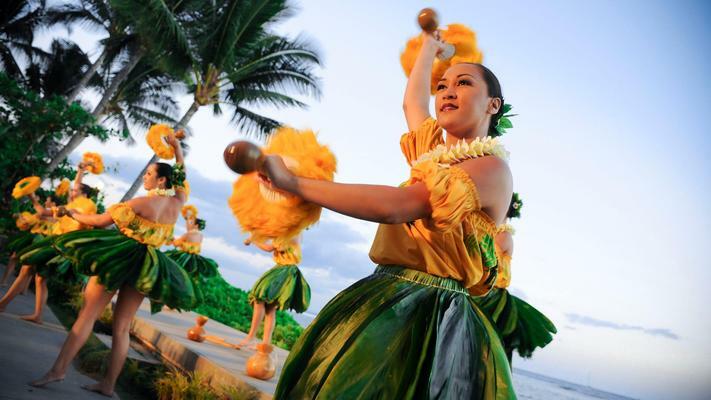 The highest rated luaus on Maui are The Old Lahaina Luau, The Feast at Lele and the Drums of the Pacific at the Hyatt Regency. All these shows are on the west side of Maui but there are many excellent luaus in Kihei and Wailea on the south side of Maui. 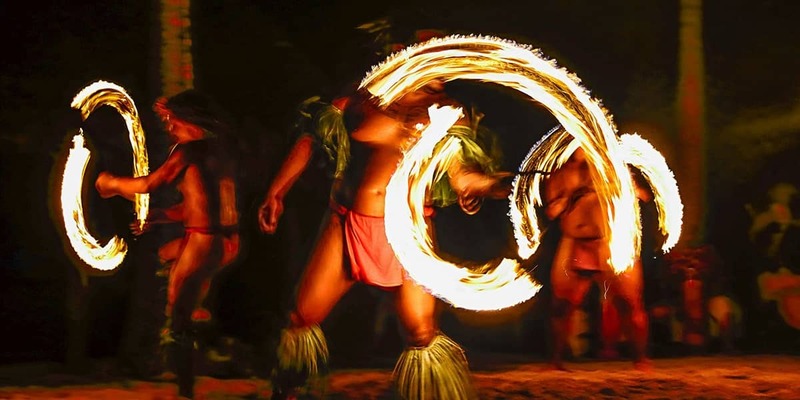 Any luau show is a wonderful part of a Maui vacation! 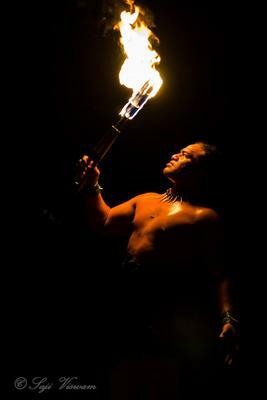 What can I expect to see at a luau show? 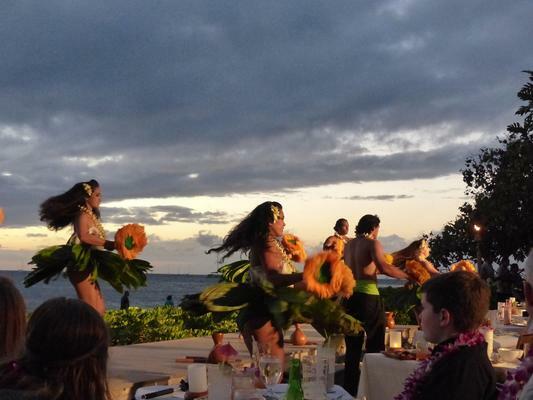 A luau is a feast accompanied by entertainment. Traditional luau dishes include Kalua pig, poi, poke, lomi lomi salmon, teriyaki chicken, mahi mahi and Mai Tai’s or beer. Entertainment includes Hawaiian music and hula dancing. 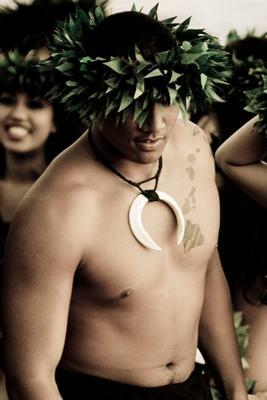 Some luaus include Hawaiian games, arts and crafts. Most luau shows are around 3 to 4 hours long. How old is the tradition of holding a luau feast? Feasts and celebrations in the Hawaiian culture date back to ancient times but the type of luaus today date back to 1819. When Kamehameha (the Kingdom of Hawaii’s first king) died his wife Kaahumanu and son Kamehameha II abolished the Kapu system of laws which forbid women and men from eating together. From this time on men and women feasted together. Today’s local residents will have a luau for a baby’s first birthday, school graduations and weddings.